Newport News has Port Warwick and City Center, James City County has New Town, Hampton has Peninsula Town Center and now Yorktown will have Nelson’s Grant. 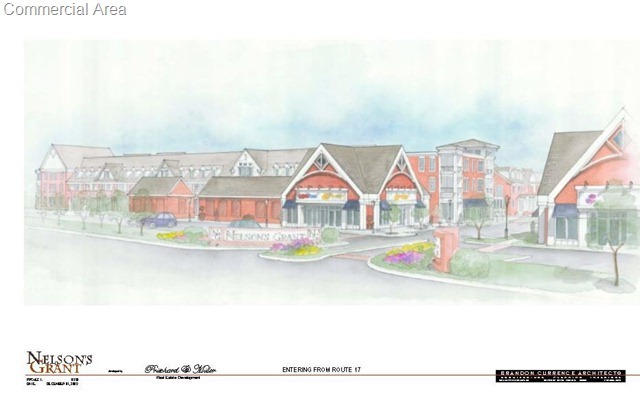 York County is in the works to get its first mixed use development. Called Nelson’s Grant, the development would include 66 town houses, 46 condos, and nearly 14,000 square feet of commercial space. Pritchard and Miller Real Estate plan to construct Nelson’s Grant on about 14 acres just north of the Patriot’s Square Shopping Center on Route 17. The development plan offers a wide variety of housing choices. Larger townhomes with 2,000 to 2,400 square feet will feature alley‐loaded detached garages. These homes will have the choice of a first floor master bedroom or second floor master bedroom. They are designed to meet the needs of residents who are ready to downsize from a single family home to a low‐maintenance home, with ample living areas to meet their needs. In addition to a traditional townhome configuration, the larger townhomes will be offered in smaller groupings towards the rear of the community. Smaller townhomes will be designed for younger residents that are looking for their first home in the county, and will be two and three‐story townhomes with two‐car alley loaded garages. These will range from 1,700 square feet to 2,000 square feet of living area. 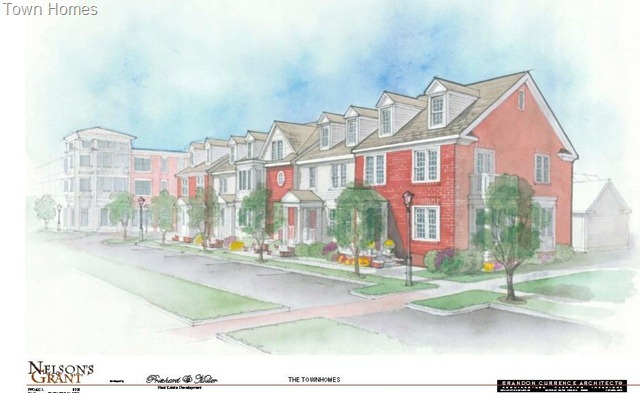 The architecture in the community is designed to include a variety of architectural styles that are complementary to the traditional architecture of the Yorktown area. Brick will be the predominant material used throughout the community as well as stone, stucco and cement board siding accents. Front porches and covered stoops will be included on most homes. The commercial center of Nelson’s Grant will complement the existing retail uses in the area. A mix of specialty retail and professional offices are planned. Retail oriented uses will be nearer to Route 17 and the more office oriented uses towards the central roundabout as the site transitions to residential uses. Landscaped plazas, pedestrian walkways and appropriately scaled facades will create an inviting place residents to shop and do business. Nelson’s Grant will provide a variety of recreational experiences for the residents. A community center with a meeting room, fitness room, kitchenette and restrooms will be provided. The “backyard” green will provide more informal recreational opportunities within the community and will include a tot lot. It will be a landscaped lawn area for use for community cookouts, bocce games and other recreational uses. The rear portion of the property is set aside as the nature preserve. It will have walking trails in and around the area to allow residents to enjoy the mature hardwood woodlands and wetland areas without disrupting the environment. Offsite recreational amenities are available to residents as well. The historic Yorktown waterfront and beaches are nearby as is the Colonial National Historical Park. Golf at Deer Run Golf Course and all the amenities of Newport News City Park are just a short drive away on Fort Eustis Boulevard. 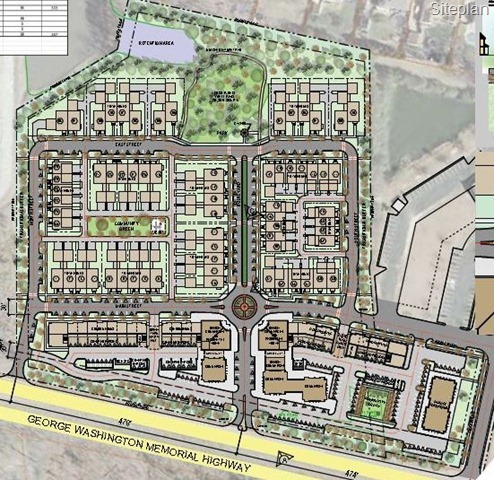 Create a “landmark” community through the application of mixed‐use and urban design principles. Nelson’s Grant aims to provide a unique living environment that will enhance the opportunities to live, work and shop within York County. It represents an opportunity to set the standard for quality mixed‐use development that is appropriate to York County VA..